Does dog bite assumption of risk apply to pet sitter in Wisconsin? Does dog bite assumption of risk apply when bull terriers attack pet sitter in Wisconsin? In personal injury lawsuits, the fireman’s rule states that an individual may be barred from recovery because of the inherent risks of certain occupation. Thus, if a veterinarian is bitten in the course of treating a sick animal, and a lawsuit is filed, the chance that the veterinarian will win the lawsuit lessen substantially. This is because the doctrine of assumption of risk states at the veterinarian assumed the risk of being bitten while the dog was under his control. Assumption of risk also applies to non-professionals in dog bite lawsuits. For example, in California one appellate ruling found that a door-to-door salesman assumed the risk of being bitten after choosing to walk into the property through a gate with full knowledge there was an aggressive dog behind the fence. Another scenario occasionally found in dog bite lawsuits happens when the visitor to a home chooses to interact with the family dog, despite being warned beforehand to stay away from the dog. Generally speaking, the law in most states is clear in that animal care professionals, such as veterinarians, kennel operators, animal technicians, and dog trainers are barred from recovery as a result of a dog bite injury because of the firemen’s rule (more specifically, as it pertains to animal care professionals in California, it has become known as “veterinarian’s rule”). According to attorney Kenneth Phillips, the veterinarian’s rule may not apply to dog trainers or pet sitters because of the nature of the relationship between the dog owner and service provider. For example, the trainer or pet sitter may be an employee of the dog owner. Moreover, the risk of being attacked by the dog for a pet sitter is probably considerably less when compared with a veterinarian or dog trainer. Trainers and veterinarians frequently work with aggressive dogs. Did this vicious dog bite attack by bull terriers bar recovery under the doctrine of assumption of risk in Wisconsin? 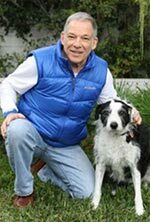 My interest in the topic of assumption of risk arose out of a dog bite incident in August, 2013 in Neenah, Wisconsin that involved a pet sitter and two Bull terriers. Bull terriers are a cousin to the pit bull terriers and males of the breed have the reputation of being aggressive in nature. The incident happened when the 32-year-old pet sitter employed by a company called Never Home Alone Pet Sitting arrived at a private residence to care for the Bull Terriers. She was attacked as she entered the yard of the property. The front of the property was surrounded by a fence. The owners of the dogs were not present when the pet sitter arrived. Soon after entering the property, both dogs viciously launched an attack on her legs. She screamed, and she may have saved her own life because she continued to hang onto the wooden fence around the property. Hence, the dogs could not drag her away, an action frequently seen in fatal dog attacks. Neighbors arrived, she was pulled back over the fence, and out of the grasp of the dogs. She then underwent emergency surgery. Several thoughts come to mind about this incident. First, did the owners know about the aggressive tendencies of these dogs, and if they did, were they disclosed to the pet sitting company, or to the pet sitter? Next, did the pet sitter assume the risk of being bitten if the bull terrier lacked dangerous propensities? The key California appellate decision which addresses this issue is found in Priebe vs, Nelson. This decision extends the veterinarian’s rule to all professionals who service dogs. And this includes not only veterinarians, but dog trainers, groomers, technicians, kennel operators, and possibly pet sitters. The extent to which this law applies to dog bite law in Wisconsin is uncertain, however. However, the pet sitter may not be barred from recovery for the following reasons. First, as stated above, the pet sitter is a direct employee of the dog owner. Second, in the case under review, the pet sitter had not yet began her duties. She was attacked shortly after she entered the property and before she provided care to the dogs. Next, from an animal behavior perspective, the nature of the duties of a pet sitter differ significantly from that of a dog trainer, groomer or veterinarian. These latter workers often handle and manipulate in a strange environment, and occasionally these workers subject dogs to pain. In contrast, the usual job of the pet sitter is to provide companionship and love to dog in the familiar setting of its home environment. Hence, the stress the dog the experiences while in the care of a pet sitter is probably much less than that experienced with the veterinarian, groomer or trainer. This consequently lessens the risk of dog bite attack. Animal behavior reasoning such as this is usually not taken into account in decisions made by appellate courts, however. Moreover, the sustained and vicious nature of the attack on this pet sitter is another significant factor to consider. 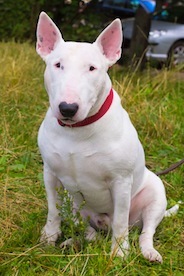 It is quite possible that these bull terriers possessed strong territorial aggressive tendencies towards unfamiliar people entering their property. And if this true, then it is likely that the owners knew about these tendencies. If these dangerous tendencies were not disclosed fully to the pet sitting company or to the pet sitter prior to her arrival then the pet sitter should not barred from recovery due to the veterinarians rule. Given the above fact pattern, discovery has to be obtained from the owners and the pet sitting company regarding the instructions given to the victim. Moreover, the owners Of these bull terriers should be questioned about the behavioral history of these dogs and it would be beneficial to do a behavioral examination of the dogs, assuming that they were available for behavioral testing.